We all have stress in our lives. It’s a part of being human. And we all have ways of dealing with it. Oftentimes, it’s with alcohol or opioid use. But all stress is caused by five factors. I remember the scenes from old TV shows and movies where the husband comes home from work and makes a beeline for the booze in one of those elegant crystal glass decanters. Such images would cast my mind back to the early days of my alcoholic drinking when that first drink actually worked to melt away the stress of the day. Those movie scenes became my routine as I would rush home from work and head directly for the bottle of Smirnoff vodka that I kept chilled in the freezer. As I look back to those days when alcohol worked its magic, I can now see how looking within myself for the source of my stress would have violated my personal creed: Only the unexamined life is worth living. All I knew was alcohol rounded the edges of my stress and allowed me to stuff it away. What I failed to understand was this avoidance pattern only intensified my stress and anxiety. What I resisted persisted. So the cycle would begin again after the next day of work. On and on. Finally, I couldn’t drink enough to silence the strident voices of my stress. One of the books that has been a tremendous help to me is The Mayo Clinic Guide to Stress-free Living, by Dr. Amit Sood. It’s turned up the stage lighting on what creates stress in my life and how to cope with it. When we are able to name the source of our stress, we can tame it. This knowledge may save you from a relapse as well. According to Sood, stress has two internal and three external components. The internal ones are fighting life and fighting change. Although I recited the Serenity Prayer out loud in hundreds of AA meetings, it wasn’t until a few years ago that I recognized its stress-reducing power. To “accept the things I cannot change” is an approach to life that has great efficacy in disarming one of the internal stressors: fighting life. When I can accept life as it is rather than how I think it should be, I immediately reduce my stress level. I no longer judge my daily experiences as good or bad. They are all lessons that my Higher Power engages me in for my ultimate good. The second internal stresser is fighting change. There is a powerful Frederica Matthews-Green quote that says, “Everyone wants to be transformed but nobody wants to change.” That was me until a few years ago. Although I had made a drastic change in my life by giving up alcohol, I was unaware of the beliefs I held onto that caused me stress and suffering. During my morning prayer and meditation, I now often ask my Higher Power for “the courage to change the things I can.” I’ve also discovered that relationships provide a mirror for me to see what I need to change. The three external stressers are the unpredictability of others, a lack of control, and a lack of power. In my drinking days (and still to a lesser extent), I created movies in my head in which I would play out different scenarios for situations involving unpredictable people. Rarely did these movies sync with the actual situation. Instead, they created expectations and then stress when things didn’t work out as I envisioned. I now “accept the things I cannot change,” knowing that people will be endlessly unpredictable. And isn’t that what makes them fascinating? The second external stressor is lack of control. That was a huge one for me. I would stress myself out by constantly trying to control the outside world so that I could be more comfortable in it. The desire is understandable. Humans have an aversion to pain. Yet, control is an illusion. In honesty, I can’t even control my own thoughts let alone another person. Giving up my attempts to control others has significantly reduced my stress levels. Power is the last of the external stressors and is the most elusive of the five. I don’t know of anyone who has tasted power who doesn’t crave more of it. As much as we chase it, we can’t ever seem to hold on to it for long. When we try to seize it, we become like terrorists to others. People then don’t follow us out of love but out of fear. Honor the moments of your life that you have power. It is a gift from your Higher Power to be used lovingly. Mark Twain said, “Some of the worst things in my life never even happened.” So it is true with me and probably with you as well. When we follow our anxiety-ridden thoughts to their destination, inevitably we arrive at dark and fearsome places. Anxiety is always about what MIGHT go wrong. It hijacks our thought processes and takes us into fretful realms. We may rise up in revolt, but the flight path seems predetermined and out of our control. If this process is all too familiar, it’s because we have boarded that plane many times. We think of an upcoming event or a task, and we play out the scenarios in our minds. Then, as it often does, that inner terrorist rises from his seat, and before we can stop it we are captive passengers on Air Anxiety. If you’re like me, you have worked hard to avoid anxiety’s emotional hijacking. And we have tried a variety of methods to do so: affirmations, meditation, positive thinking, changing the thought channel. Some of us have felt temporary relief from anxiety through the use of alcohol, prescribed and unprescribed drugs, gaming, Internet, and Facebook. Though we resist the tendency, we end up—time and again—passengers on an anxious journey. In my spiritual life coaching practice, I work with clients with anxiety and depression issues. One of my clients, who suffered from anxiety for decades, found almost immediate relief from this emotional hijacking in my use of Acceptance and Commitment Theory (ACT). Pain is an inevitable part of life. Because we have an aversion to pain, we all become anxious at the thought of it. And ACT acknowledges that all of us—even Zen masters—have anxious thoughts during a typical day. This is because our brains developed in a very threatening environment. We were not only predator but also prey. What was bad was bad AND what could be bad was also bad. So actual danger and the possibility of danger became one and the same thought. ACT, however, provides a powerful psychological tool to cope with anxiety. One of the keys to releasing from anxiety, Wilson and Dufrene say, is not engaging it. When we spot a bear in the distance, it’s best to back away and create distance. Same with our anxious thoughts. When we feel ourselves being pulled into the thought, we need to disengage. How do we do that? By first understanding that all thinking is divided into two categories: the ruminating mind and the experiencing mind. Rumination is what happens when the mind wanders. Its domain is the past and the future. The experiencing mind is about connection to the present moment. If this sounds like mindfulness, then you are right. 1. Identify the thought. When we name the anxious thought, we alert ourselves to it and avoid stepping into its snare. 2. Step back from it. The more we fight the thought, the more we get swept away in it. This includes trying to change the anxious thought to a positive thought. Brain research has proved that the thought will recoil with even more power if we try to push it away from our consciousness. Instead, we release (defuse) from the thought rather than fuse with it. 3. Make contact with the present moment. Change your attention from the future or past to the here and now. Instead of sitting on the coach allowing your mind to toggle back and forth between the past and future, find something that you value to engage your mind in the present. This keeps you from endlessly reprocessing the past or worrying about the future. “Anxiety is always out of place in the present moment,” according to Wilson and Dufrene. The key, then, to freedom from anxiety is to remain in the experiencing mind. Anxiety cannot co-exist with the present moment because anxiety is always what could happen, not what is happening. When we apply these three simple steps at the onset of an anxious thought, we can find a freedom from anxiety that is simply more effective than other methods. With practice, we can come to know a freedom from anxiety that is as refreshing as a good night’s sleep. “If you can learn to remain connected to what’s going on in your life right now, accepting both the sweet and the sad, holding lightly the stories about what’s possible while turning your actions toward things that matter to you” then you have succeeded, as Wilson and Dufrene say, in avoiding the snare of anxiety. May you all experience the joy of an anxiety-free life. I would love to hear your comments or to have you share your anxiety success stories. One of the most influential reads in my early recovery was Bill W’s “Emotional Sobriety.” Published in a 1958 edition of the AA Grapevine, Bill writes about his battles with dependency. This time it is not about dependency on alcohol but dependency on approval, security, and prestige. These dependencies, as Bill reveals in this letter, created much suffering in his life. “Since AA began, I’ve taken immense wallops in all these areas because of my failure to grow up, emotionally and spiritually,” Bill admits in this powerful letter. Nearly two decades after the publication of the Big Book, “Emotional Sobriety” allows us again to spend time with the man who Time magazine recognized as one of the 100 most influential people of the 20th Century. And little wonder. Empowered by his own wounds, this is a man who led from the front and walked the talk that would save countless millions from the debilitating despair of addiction. In “Emotional Sobriety,” Bill W. lives the values that he preached in the Big Book: honesty, humility, faith, and service. In this letter, Bill speaks of the impossible expectations he held for himself and others that led to his severe bouts with depression. Torn between his unconscious “fears, compulsions and phony aspirations” and the spiritual awakening of the 12 Steps, Bill agonized over why the program didn’t work to release him from his own depression. Finally, according to this letter, his answer came to him one day as he stared at a line from the Prayer of St. Francis: “It’s better to comfort than to be the comforted.” Suddenly, in an epiphany, Bill realized the problem. “My basic flaw had always been dependence—almost absolute dependence—on people or circumstances to supply me with prestige, security, and the like. Failing to get these things according to my perfectionist dreams and specifications, I had fought for them. And when defeat came, so did my depression,” as he says in the letter. “Plainly, I could not avail myself of God’s love until I was able to offer it back to Him by loving others as He would have me.” As long as false dependencies gripped him, Bill understood that the glimmer of emotional maturity and adult love would elude him. In the light of this truth, Bill recognized that emotional stability came from offering love to the drunk stranger on his doorstep while demanding nothing in return. Expectations, he discovered, are premeditated resentments. Only then, he says, can we be set free to live and love. Only then are we able to Twelfth Step ourselves and others into emotional sobriety. As Bill confronted his dependencies, his letter encourages us to do the same. 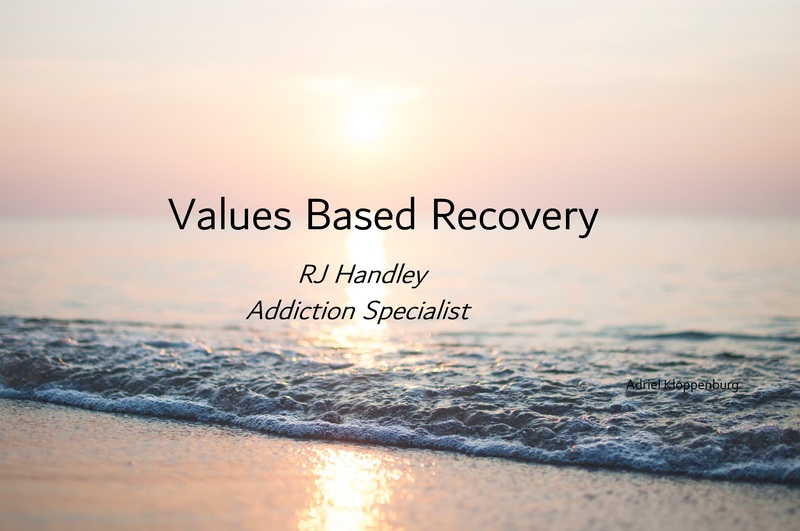 “Emotional Sobriety” is really about clearing away the obstacles that stand in the way of our emotional health, our conscious connection to God, and our service to the still suffering addict. So you can experience the entirety of this two and a half page letter, I encourage you to locate a copy of “Emotional Sobriety” online. As a recovering alcoholic myself, I will be forever grateful to God for choosing Bill W. as spokesman for addiction issues. To me, the Big Book is a masterpiece, not only because it provided the first published pathway for recovery but also provided us with a truly exemplary guide who we meet again in this letter. May you also find emotional sobriety. I’m going to make a fool of myself. I’ll feel out of place. People will see how anxious I am. If I don’t say much, people won’t know how boring I am. These are the things that I would tell myself when I thought of social situations involving more than just a couple people. If you can relate to this, then welcome to the world of social anxiety. And, yes, it can be a huge burden and, yes, there are ways to overcome it. Amazingly, it has taken me a lifetime to come to terms with my own social anxiety. Many people shield themselves behind friends in social situations. Others become wall flowers. Still others avoid socializing at all costs and, sadly, live a very lonely life. For me, I discovered a cheat for social anxiety in my junior year of high school. And that was alcohol. Unfortunately, when we continually use any coping behavior, we never address the issue—we only hide from it. Soon I was drinking whenever I socialized…and then when I was alone as well. The fact that nearly all people experience social anxiety should be an assuring thought to anyone. But it wasn’t for me. When I looked around at parties, I saw everyone else appearing so relaxed and so confident with others. Why couldn’t I be like that? Then I discovered pre-party drinking and embraced the magic of alcohol. When I drank, I became the person I wanted to meet. The more I relied on this social crutch, the more weight I put on it. Dinner parties with guests sitting around a dining room table gave me the greatest social jitters. In these situations, people could too easily see just how much I was drinking. I felt that I had to limit my drinking which reduced the effectiveness of my coping behavior. Eventually, all my decisions about social situations boiled down to this: If I couldn’t drink freely, I wouldn’t attend. That crutch, however, became as heavy as a boat anchor, and it plunged me into the abyss of alcoholism. From the clarity of recovery, I clearly see that social anxiety was one of the most powerful forces that drove my drinking. I had a living problem and a drinking solution. Now, in my tenth year of sobriety, I still push myself to more frequently attend social gatherings. It’s amazing how confronting our problems reduces their power over us. Does social anxiety still haunt me? For the most part, no. But that old phantom returned this week. I have a fairly big dinner party I promised my girlfriend that I would attend with her this coming weekend. These situations are my Achilles heal. With the invitation came a rush of anxious thoughts and a tightening in my stomach. Yes, I have made progress with social anxiety in my recovery, but I’m still not immune to it. This time I finally decided to seek out the advice of professionals. This time I would take a different approach. This time I decided to confront my social anxiety head on, armed with new techniques rather than just ignoring the issue. In his wonderful article “7 Techniques for Overcoming Social Phobia,” therapist Mark Tyrrell provides easy to implement ways of relieving social anxiety. Tyrrell says worrying is self-programming. When we worry about an upcoming social situation, we are projecting ourselves into that situation and seeing ourselves failing once again. Little wonder we experience anxiety when we are actually in that social setting. Instead, he recommends that we take a warm bath or sit in a comfortable chair and visualize ourselves in that situation looking relaxed and confident. Repeatedly doing this will create positive associations with socializing. The more we avoid something the more we send the message to the unconscious mind that it is dangerous and should be avoided. This is true of socializing. The solution is to actively put ourselves in social situations both in our imaginations (visualizations) and in person. Soon, Tyrrell says, our conscious minds will begin to see socializing as safe and normal for us—even something to look forward to. Oftentimes, when we are socializing, it is like we are walking around with a mirror in front of us, continually viewing how anxious we imagine ourselves looking and telling ourselves negative messages like “I’m boring.” Tyrrell recommends moving our focus outward to the people in the room and to the room itself. Notice the color of the walls, the room décor, and what other people are wearing. After all, social situations are about focusing our attention away from ourselves. Imagination is one of our greatest assets but not when it comes to imagining what people are thinking of us. When we find ourselves trying to mind read, we need to shut it down. Yes, we can influence what others think of us, but we can’t control it, so why try, Tyrrell says. Our minds need positive instructions. Tyrrell suggests asking ourselves, “How do I want to feel in these situations?” He recommends closing our eyes and feeling how we feel when we were in the company of our loved ones. Now, in social situations, bring those warm feelings with you and make a habit of sending them out to everyone. When we try to present ourselves as perfect, we come off cold and stilted. People who are willing to allow themselves to be a bit of a fool, Tyrrell says, are more socially confident. People actually connect with us better when we are willing to show ourselves as flawed. We wouldn’t be human if we weren’t. And here is one of my own. I have a habit of looking away immediately after someone asks me a question. People can associate that with lying. So lately I have been standing in front of a mirror and asking myself common questions I would be asked at a party. I work on keeping eye contact with myself while answering. All people suffer some degree of social anxiety. For alcoholics, we have relied on alcohol to provide us with the social “grease” to help us relax in social situations. Other people become addicted to their own coping behaviors. After the 12 Steps, we face the challenge of socializing cleanly. But if we take on this challenge with the same courage as we did our 4th Steps, and we apply these seven techniques, we can overcome our social anxieties. We then look forward to socializing rather than dreading it. And what a feeling of accomplishment that will be! If this process is all too familiar, it’s because we have boarded that plane many times. We think of an upcoming event or a task, and we play out the scenarios in our minds. Then, as it often does, that inner terrorist rises from his seat and, before we can stop it, we are captive passengers on Air Anxiety. Finally, after decades of struggling with anxiety, I have found a workable solution to this emotional hijacking in Acceptance and Commitment Theory (ACT). And more specifically, in a very accessible book called Things Might Go Terribly, Horribly Wrong that applies the core tenets of ACT to anxiety. “The principle reasons we get anxious is to protect ourselves from anticipated pain,” according to Kelly G. Wilson and Troy Dufrene, authors of the book. I treated a client who nearly lost his teaching job because kept relapsing into alcohol and drug use to escape all his anxious thoughts. It was only after introducing him to ACT’s techniques that he was able to release himself from anxiety. Identify the thought. When we name the anxious thought, we alert ourselves to it and avoid stepping into its snare. Step back from it. The more we fight the thought, the more we get swept away in it. This includes trying to change the anxious thought to a positive thought. Brain research has proved that the thought will recoil with even more power if we try to push it away from our consciousness. Instead, we release (defuse) from the thought rather than fuse with it. Make contact with the present moment. Change your attention from the future or past to the here and now. Instead of sitting on the coach allowing your mind to toggle back and forth between the past and future, find something that you value to engage your mind in the present. This keeps you from endlessly reprocessing the past or worrying about the future. “Anxiety is always out of place in the present moment,” according to Wilson and Dufrene. When we apply these three simple steps at the onset of an anxious thinking, we can find a freedom from anxiety that is simply more effective than other methods. With practice, we can come to know a freedom from anxiety that is as refreshing as a good night’s sleep.